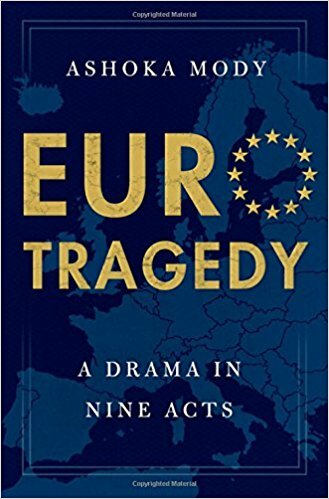 Invitation οn the occasion of the publication of the new book “EuroTragedy: A Drama in Nine Acts” by Professor Ashoka Mody – Charles and Marie Robertson Visiting Professor in International Economic Policy at the Woodrow Wilson School, Princeton University; former Deputy Director in the International Monetary Fund’s Research and European Departments. on Wednesday, 5 September, 19.00-21.00, at Aegli Zappiou. Professor Ashoka Mody will discuss with: Mr. George Chouliarakis, Alternate Minister of Finance, and Mr. George Papakonstantinou, former Minister of Finance.